My next task is to build my skills and to introduce my yarn to my aloof machine and create a marriage of yarn and machine that will prove fruitful. It takes playing with all kinds of things like tension and hanging weight and even machine balance. I have a love-hate relationship with the ribber attachment, but I can do a basic sock. Predicting size is a challenge I am overcoming. So I am moving onto color changing, stranded color work like Fair Isle. This is logical, as shetland yarn is the go to for these knitting techniques. But how to do this on this old machine? Classes are not plentiful, so one heads to YouTube. And I found information about how to do this. I obtained a new yarn carrier with a slot that allows me to change colors without cutting the yarn. So off I go to give it a try. These four pairs are my first attempts at color play. And my brain is swimming with new ides on how to incorporate this technique. The time factor is a problem because it adds another hour to how long it takes me to produce a pair of socks. I am starting to think of sock making as an art form, especially the design part. Might have to charge accordingly, but not until I feel I am approaching expert in my abilities…so I will continue this journey of exploration in this farm to clothing project and see where it leads. So here are some pics of the process. The challenge is that I am looking at the inside of the sock while I am knitting…with all the floats and not able to see how that actual design is evolving. It is also easy to make a mistake. As I was working the orange pair, I did make a mistake on the second row, and redesigned the color pattern to incorporate that mistake…I managed to make it work. And during the purple and pink pair, I forgot to introduce the purple when I wanted to, and so worked a second zigzag that I had not planned for..but I actually like the design better. See the video as I explain how the process works. 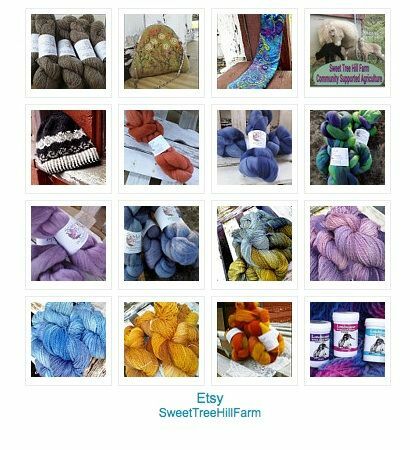 I hope this post provides a peek into a farmer’s challenge.. who is trying to learn a new skill using this amazing yarn grown on the back of her flock…flock to feet…wool grown, sock knitted, all on the farm.